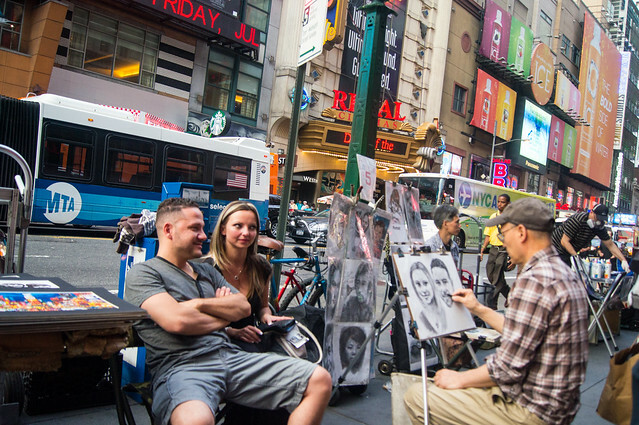 What things do you associate with New York? Many people will say that this is the Statue of Liberty, the yellow taxi or the Brooklyn Bridge. Well, and what about pizza? 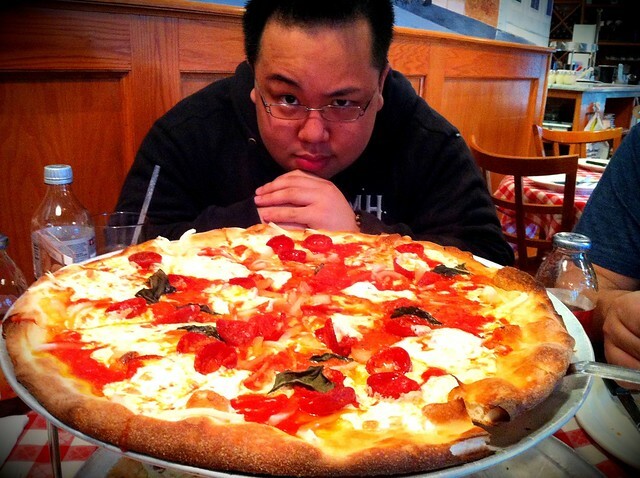 New York pizza is known all over the world. 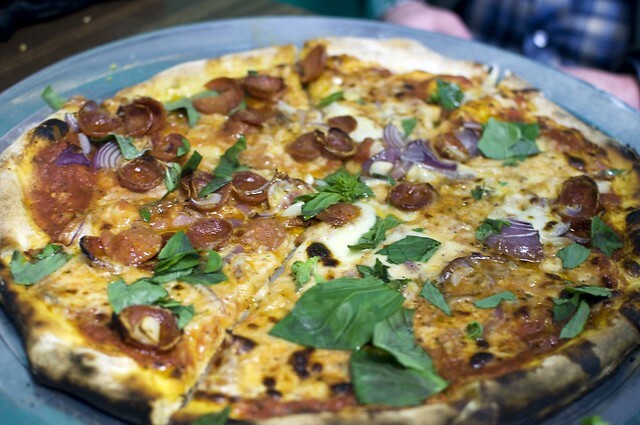 New Yorkers even insist that it’s thinner and tastier than pizza cooked in Italy. In New York, this traditional Italian dish is prepared in the form of a huge pie, which is served either in slices or wholly. As reported by the owners of this restaurant, the skill of cooking pizza on coals is a fading art. 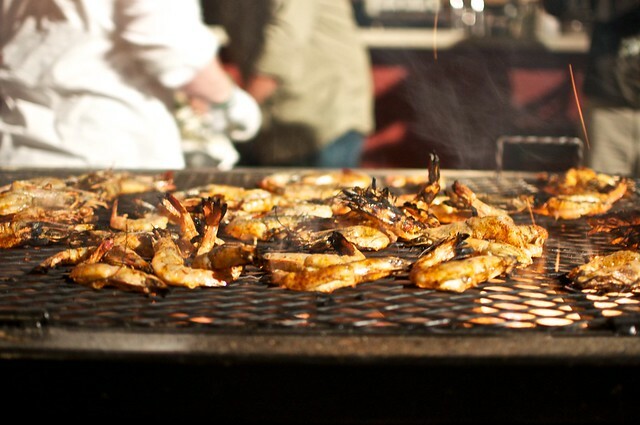 This is the skill that Grimaldi’s chefs are proud of. Its pizza has a light smoked flavor and the finest crust, which is simply impossible to achieve by baking the dough in a gas or electric oven. This high quality-product is achieved through the use of coal from Pennsylvania, which features the highest quality on the planet. About 150 kg of coal are burned in the restaurant every day, which makes it possible to heat the oven up to 650°С. The result is satisfied smiles on the face and great guests’ reviews. Not surprisingly, the queues at the restaurant begin to form long before the opening! According to Zagat rating, Di Fara for the past eight years is among the best establishments in the list of New York pizzerias. The restaurant owner comes from an Italian family of bakers and pizza-makers, and he even won the title of “rock star” among local fans. He cooks pizza for visitors of the restaurant, and on those rare days when he leaves pizzeria for business needs, the establishment is simply closed. All restaurant recipes are based on family traditions that are passed down from generation to generation and are kept in the strictest secrecy. The ingredients are imported from Italy itself, which provides a unique authentic taste of the finished product. 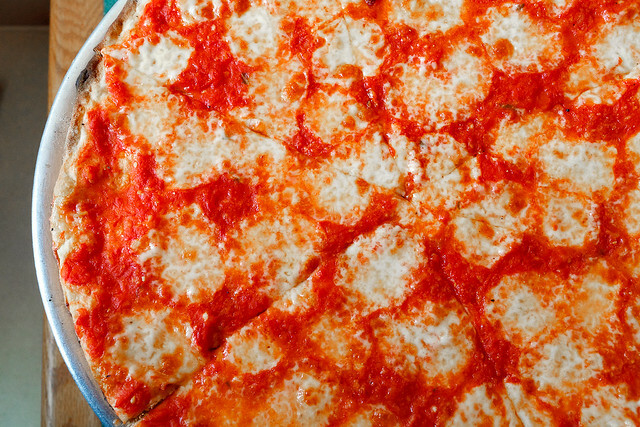 When ordering a whole pizza at Di Fara, you will be given the choice between a round and square shape, which is $4 more expensive. Remember that there’s no menu in the restaurant. 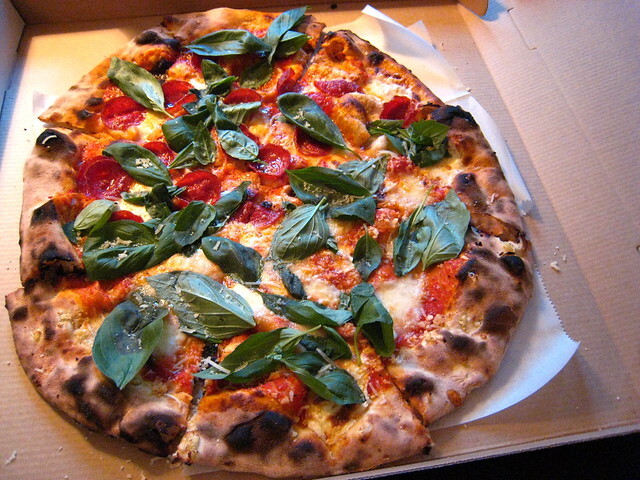 All pizza is automatically served as plain – a combination of cheese and tomato sauce. If you want something more interesting, then you have to choose the desired filling for a fee. This is another establishment in New York, which for more than half a century never ceases to please connoisseurs of good pizza. The decor of the restaurant is made in the Mediterranean style and sets the visitors in a positive mood, as if transferring them to the cozy towns of the Italian coast. The owners and workers of the pizzeria are from the same family and are always happy to support the conversation in both English and Italian. A special feature of Joe and Pat’s is the heart-shaped pizza. This fact emphasizes the chef’s love for this dish. As in Grimaldi’s, in this restaurant you cannot order a single slice – when visiting Joe and Pat’s, get ready to eat the whole pizza. In addition to the delicious pizza menu, the restaurant is rich in traditional salads and hot dishes, giving guests the opportunity to taste other delicacies of Italian cuisine. 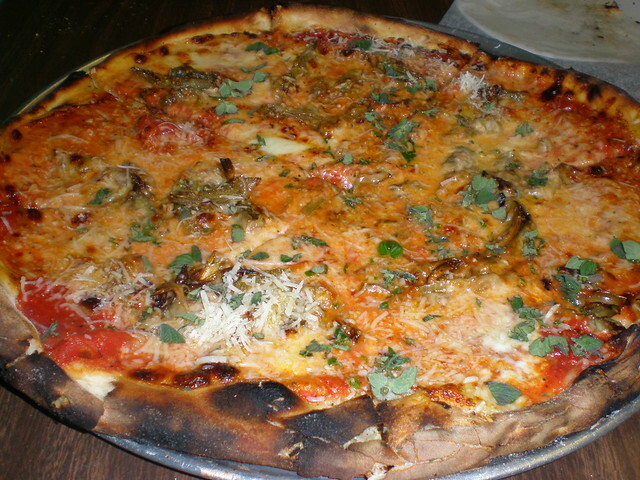 This relatively new pizzeria was opened in 2008 in Manhattan. A menu full of improvisation will surprise you with a juicy broccoli and pecorino cheese sandwich, as well as a culinary intrigue of the restaurant – artichokes stuffed with cheese. This delicacy is also served in combination with spinach. Or maybe you prefer the crab stuffing or pizza with meatballs and parmesan? In any case, get prepared for long queues, as the place is very popular. This is probably the only drawback of the restaurant. Well, if you don’t want to spend time in the queue, come there at 3 o’clock in the morning or order home delivery – the restaurant works and delivers 24 hours a day! The history of the creation of this pizzeria has a romantic touch. Its owner and chef, Mark Yokano, wanted to save his favorite childhood pastry shop from chain restaurants. Therefore, he decided to buy the room by opening an independent restaurant in it. Mark had to spend days and nights without a break, mastering the skill of cooking the finest dough in a traditional wood-burning stove. However, his efforts paid off. 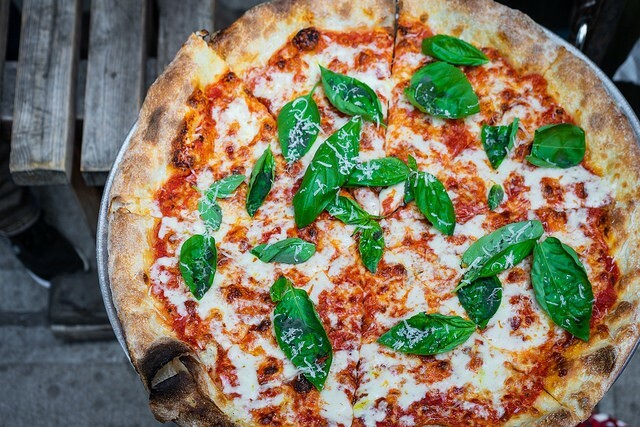 Lucali instantly won the hearts of the locals and became famous for its extraordinary pizza for the whole of New York. In the interior of the pizzeria the central place is occupied by the chef’s desk, on which this cherished dish is prepared. When visiting Lucali for lunch or dinner, you can taste either the traditional pie, or calzone. You won’t find any other types of pizza or dishes there. In addition, all fillings are offered separately. Today, people are fond of traveling. They have many different opportunities for that! Technological progress, free internet access, sales, and cheap flights. Even if you are a student, your traveling opportunities are unlimited. 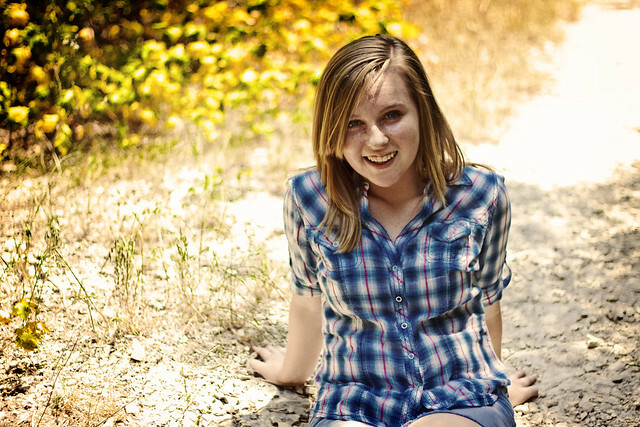 You can solve any of your college problems with the help of the internet. The same is about traveling! You can pack your bag and go traveling right now! Just take the car! Which one? The best vehicle for exploring different exotic places is convertible from USA car rental. 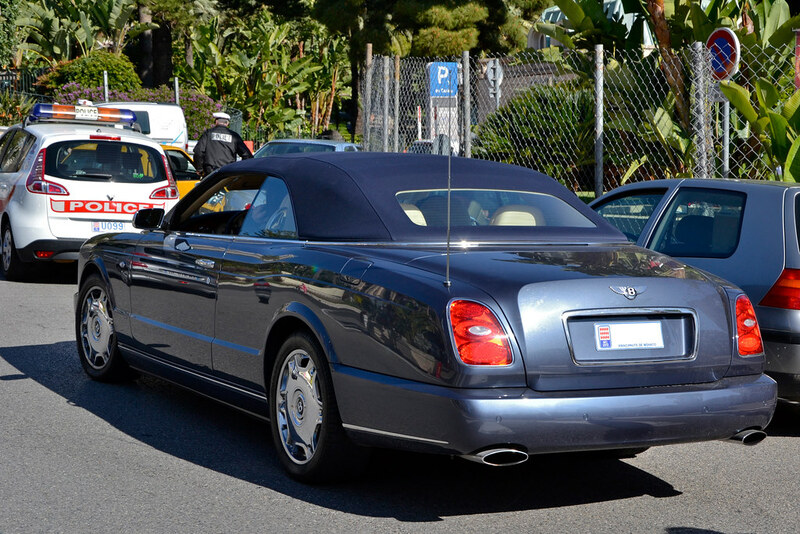 Renting a cabriolet car gives you a good driving experience and even more. First of all, this kind of car looks stylish, attractive, and brighter than hard-roof cars. Secondly, you have more chances to taste beautiful landscapes around in the open-roof car. Again, you look really cool in it! By the way, you don’t need to go far. Your country is full of exotic places you didn’t see yet. What first comes to your mind when you think of the USA nature? Of course, you think of never-ending American plains, high mountains, heavy snowfalls, and Southern beaches. You should know that American territory is full of exotic places with the rain forests, hot tropical climate, crystal clear water, and romantic beaches. These are places, where you can meet exotic nature and unique culture. If you like passive leisure more than climbing mountains, just drive your car and enjoy your trip! Remember, not only Florida is worth your attention! 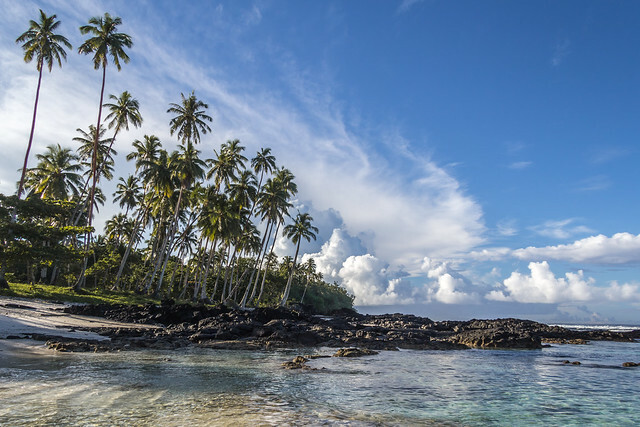 The list starts from the Eastern America – Samoa. This part of the USA is washed by the Pacific Ocean. The territory of Samoa is about 200 square kilometers. More than 50 thousand people live in this area. It consists of many big and small islands. The biggest of them is called Tutuila. This is the most interesting place and you should stay there at least for a day. The nature is amazing! You can see volcanic islands, rain forests, high mountains, and a coral reef. The climate is warm and pleasant the year around. 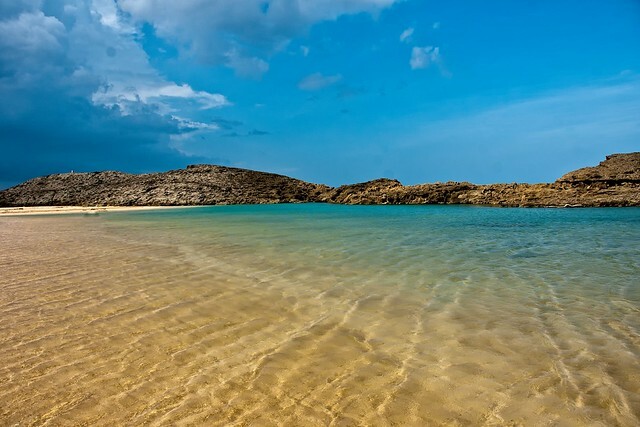 Puerto Rico is rather popular place for visiting. This unique territory lies in the Caribbean Sea. It can boast its rich history, amazing nature, beaches, lakes and rivers, pleasant climate, and well-developed infrastructure. Locals speak English and it will be easy to find a way or ask something. Also, this is a place where you can learn American history. This exotic island is situated in the Pacific Ocean, its Eastern part. The life here started about 3 000 years ago. The territory is not big, but nature us various and rich. Of course, tourism is well developed here. Why not? The warm climate and natural sights attract people from different continents, especially from the next-door Japan. Also, you cannot find crowds of tourists here, so, your rest must be comfortable and pleasant. You can easily join the statistics and become a new visitor. Welcome to Guam! This exotic place can be special for you. It is very beautiful and atmospheric. Actually, Palmyra is a small territory in the Pacific Ocean which is surrounded with a Coral Reef. This island occupies a territory of 7-8 square kilometers and 2 meters high. The nature here is exotic and various. You can find a lot of interesting plants and trees that you can hardly find on a continent. It’s because people don’t live here, they just come here by boats or planes to take pictures and take some rest far from civilization. Just remember, no one lives on the island, so, you can find just minimum you need and expect from the civilized world. 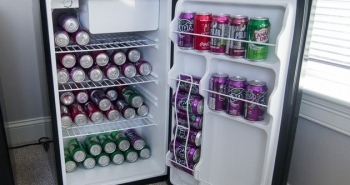 If you need some water, food or medicines, it is better to take with you. That’s why visiting shop before the trip is recommended. Probably, this area is not a new place for you. If you haven’t visited it yet, you should go. Hawaii is situated in the Pacific Ocean. Actually, the territory consists of numerous islands. This is not a lonely place as the most of the tourists know a lot about this exotic country. People come here to enjoy Hawaiian infrastructure, comfortable and clean beaches, rich nature, and warm climate the whole year. You’ll be exited to visit old volcanoes, coral reef, waterfalls, and other amazing places. It’s like a paradise for all tourists. That’s why Hawaii takes the leading position among the most popular exotic places in America. It is able to meet all touristic needs and requirements, even the craziest. So, your list of MUST VISIT exotic places has begun! You have at least 5 of them to travel to. Be sure, you are on the right way. 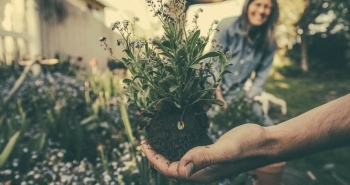 Traveling across the country every time you have some free time is more interesting and enjoyable than go shopping or spending time at home watching TV. Just make you’re your valise is ready and properly packed. Want to know how? We’ll talk about in the next article! What is the ideal romance? This is when you are full of emotions, your passion doesn’t subside, and for complete happiness, you only need the right entourage. Rentalcars24h has chosen the most beautiful hotels on the planet for the sweetest honeymoon and the greatest romantic weekend. 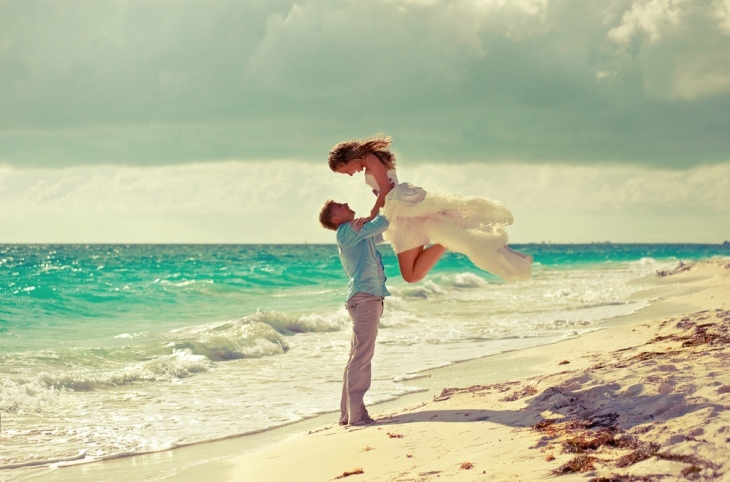 Some of them can be an ideal place for the wedding of your dreams! 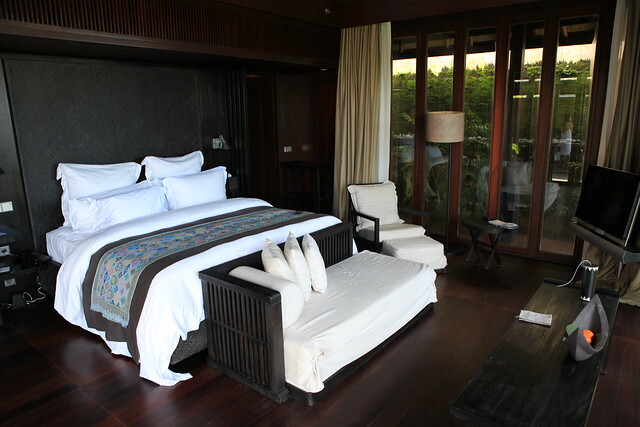 The most stylish hotel on Bali Island is literally created for the fans of romantics. Moreover, it’s possible to organize the wedding of your dreams in the local chapel, and not some symbolic one, but a real luxurious ceremony for 90 persons! Bvlgari Resort features the personal wedding manager that can organize the holiday of your dream – from classical wedding to ceremony with observance of special religious rites. Even more romantic option is the ceremony on the water, when the altar is decorated with flowers, and the action itself takes place on an acrylic bridge set on the mirror surface of an artificial pond. If your goal is not the ceremony itself, but a romantic rest, then it’s also hard to find a better a place. A luxurious hotel on a cliff with a breathtaking view of the Indian Ocean is placed 150 meters above sea level, and therefore the view opening from there is fantastic! Luxury villas with a private pool will provide absolute privacy, and the virtuoso cooks from the local La Spiaggia restaurant will make your romantic dinner tasty, unforgettable and full of romance! 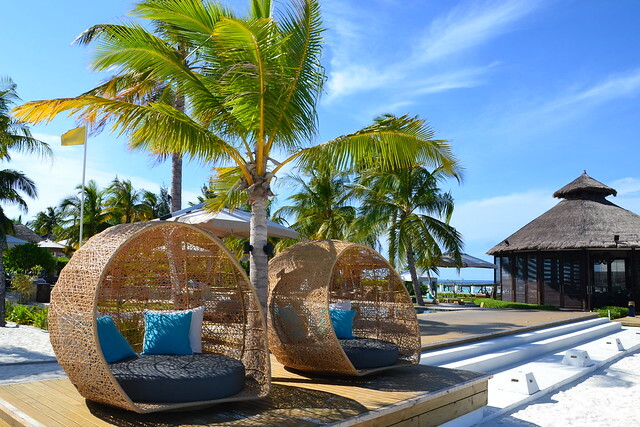 Jumeirah Vittaveli is a paradise for loving couples from all over the world. The hotel has its own chapel for weddings with a view of the lagoon its transparent floor reveals the unique underwater world of the Indian Ocean. By the way, the fans of diving can arrange a solemn wedding proposal under the water or hold a full-fledged wedding ceremony surrounded by fish and a coral reef. Those who like romantic scenarios will certainly appreciate a private romantic date on a lost island in the middle of the ocean: dinner by candlelight, incredible sunset beauty and a treasured proposal on the sand or directly on the water are everything you need to be happy. If your plans are sweet honeymoon or a romantic escape for a week, there’s no better location than secluded suites on the water. Seven stylish villas are cut off from the basic infrastructure of the island: you can get there only by a specially equipped boat. A personal butler will bring and serve breakfasts, lunches and dinners for you. With the help of the local Talise Spa specialists you can enjoy a real Maltese spa ritual right at the villa. A separate pool, Jacuzzi and personal beach are provided only for you and your beloved one! 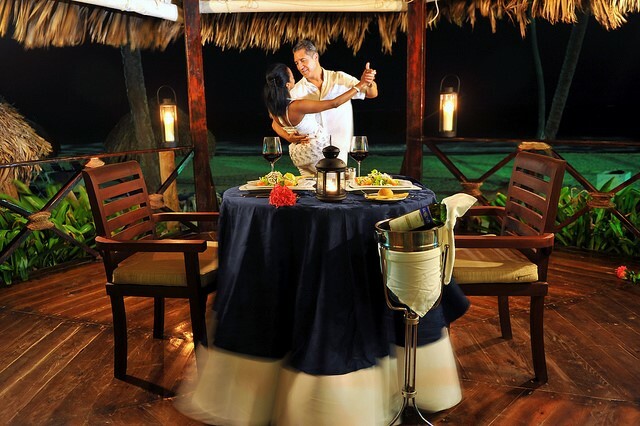 Seychelles is a classic in terms of romantic vacation. This is a favorite vacation spot of Hollywood celebrities and other famous persons. For example, Kate Middleton and Prince William chose this heavenly place for a honeymoon. Banyan Tree Seychelles is considered to be the most beautiful hotel on the islands – all its villas are located on the shore of Intendance Bay, and each of them is a sample of the right luxury: there’s a private pool, a terrace surrounded by tropical gardens and a bedroom with a stunning ocean view. 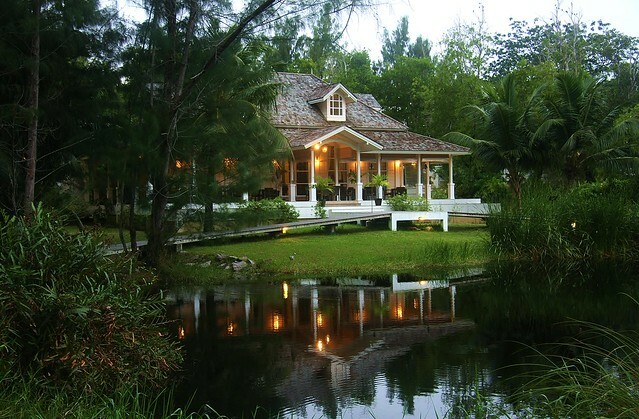 The perfect harmony of colonial architecture and untouched beauty of the island’s wildlife creates a feeling of tranquility and peace. Honeymooners in Banyan Tree Seychelles are offered a romantic picnic with champagne on the beach, walks through the tropical garden, and treatments at the local spa, which is a true wellness legend. Usually they arrange real spa days – the procedures last from morning till night, accompanying by the sound of waves of the Indian Ocean. 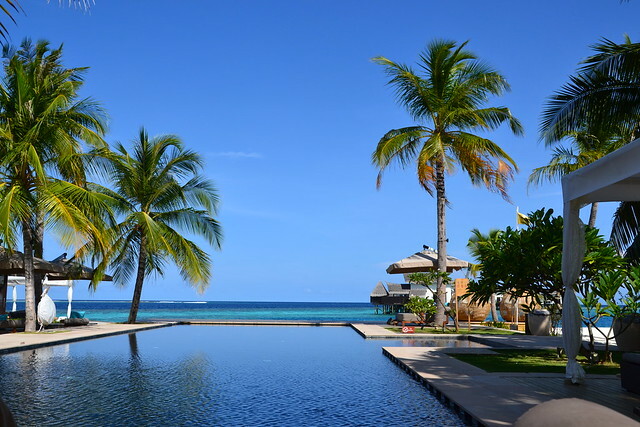 The surrounding area of ​​the resort is an ideal place for mountain biking, snorkeling and canoeing. The hotel is very proud of its own organic garden, where you can see huge turtles. If the beauty of the hotel so drives you crazy, that you decide to get married there, then there is nothing easier – the hotel offers 3 wedding packages for the newlyweds. You can order both a symbolic ceremony and a romantic dinner with a barbecue by candlelight, and a classic celebration with a two-tier wedding cake and tropical bridal bouquets. A luxurious cocktail at sunset in La Varangue Café will be a perfect end of the major day in your life. Forte Village Resort is not just the best hotel of Sardinia, but a real small town with everything you need: there are dozens of restaurants, mini-zoo, golf club, kids’ club, tennis court, boutiques and much more. 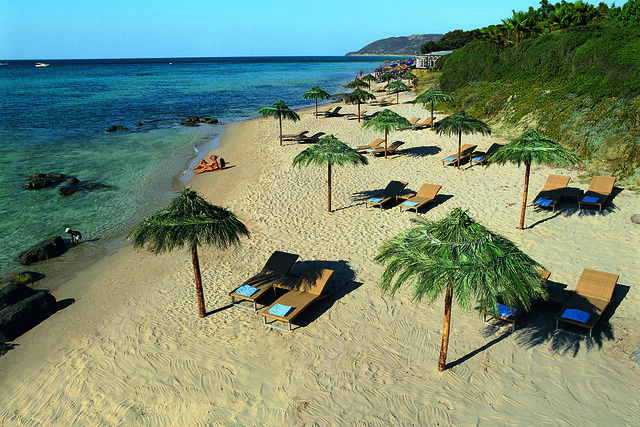 A special pride of the hotel is cascades of pools and endless white beaches against the background of the unique nature of Sardinia featuring rugged coastline, black rocks and coral caves. The hotel is considered to be the best option for family holidays and romantic trips. Despite its impressive size, Forte Village manages to maintain the concept of a secluded rest – private villas are the key to a completely serene pastime, and even the animation is unobtrusive there. Any activity, whether it’s a booking of a yacht or even an airplane, can be arranged with the help of a concierge service. Your day can be planned so that the rest will be calm and at the same time interesting: breakfast, yoga, spa, boat trips, lunches and dinners by the ocean will make your stay at Forte Village Resort fantastic. For those who wish to get married, spend a honeymoon or celebrate the anniversary in the most beautiful hotel of Italy, Forte Village has prepared a special offer. 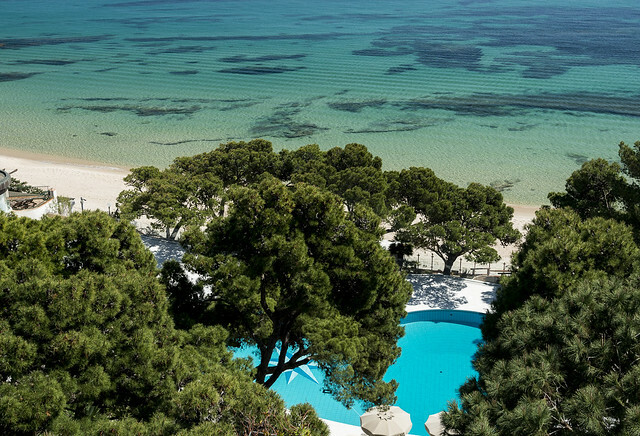 The ceremony will be held at Royal Pineta or Hotel Castello, which are an example of classic pacification in the shadow of pines and oleanders. Generally, the offer includes 5-nights’ accommodation in one of the complex’s hotels, VIP service, a romantic candlelight dinner with music, dancing and spa treatments for two. Camping is one of the all-time great ‘uniquely American’ activities out there. This is thanks not just to our pioneering spirit but also because of the incredible wildlife, wide prairie ranges, open spaces and of course the medley of diverse climates. In short, there is something to suit everyone, especially when it comes to absolutely gorgeous vistas that can literally take your breath away with their sheer beauty. 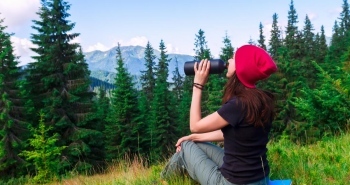 Many Americans simply love to ‘turn off the grid’ so that they can also commune with Momma nature. Let us look at some of the most eye-catching campsites in the good ol’ U.S. of A. 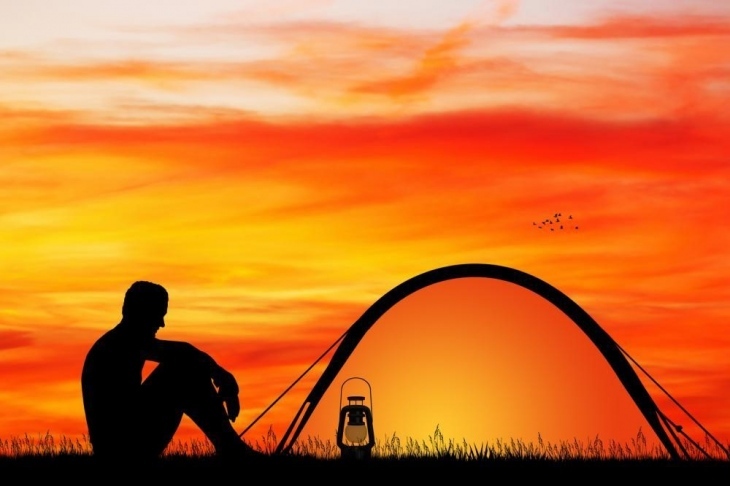 Should you be camping with your family and friends that have distinctly eclectic tastes, opt for places where it would be possible to vary your experience daily! This is the part where the Ludington State Park in Michigan comes into the picture. Why? Quite simply because it can keep everyone entertained easily enough. Prepare your lightweight campers and put your outdoor gear in order before heading out to this magical destination. For starters, there is the possibility to take a dip and go swimming in Lake Michigan. However, if getting all wet and bothered is not your style, then there are kayak rentals, jet skiing, sand dunes, beach walks, and of course, taking long rambles through the forests simply made for nature hikes. This is an ideal place to pitch your tent and get on with your trip. This place is an ecological marvel. 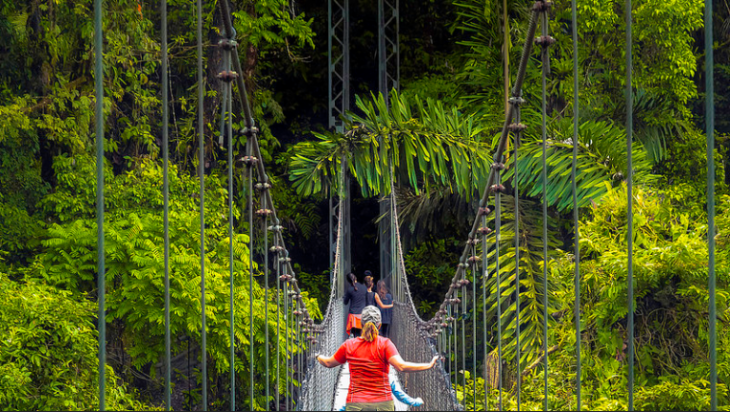 There’s so much to explore than exceptional trees and hiking trails. The destination has three different ecosystems, all in the same park. From hills to forests, it has it all. Here, you can not only take your evening constitution on a hill, but you can also easily watch the great whales on their annual migrating to their summer or winter feeding grounds as well. If you are the hardy and pioneering sort and want to emulate the trailblazers of yesteryears, then a rugged hike on raw mountainous terrain is just the thing for you. In fact, there is no need to look further than the White Mountain National Forest, New Hampshire. This park is located in the northernmost part of the Appalachian Valley. The best season to camp here would be in mid-fall. The sights are particularly magical at the time when the leaves are in free fall. Apart from that, this place is absolutely huge. As a matter of fact, this forest park has no less than four drive-in campgrounds and all combined, they boast of at least 800 campsites in total. The Shenandoah National Park is merely a short drive from Washington D.C with an estimated 500 miles of trails all along its pathways. However, the highlight of this scenic park is the Old Rag Mountain hike. The scenery from the top is absolutely gorgeous. It’s open in all the seasons, barring winter. But make sure that you have the right tent with you in case, there is a tropical downpour. The last thing you want is to worry about wet clothes! The Assateague Island Campgrounds are located only a scarce nine miles or so south of Ocean City. These camping grounds mean miles of sandy beaches for swimming, kayaking, camping, surfing, crabbing biking, and horse riding. These are but only a few of the great camping spots in the USA and there are plenty more other equally scenic sights, should you be interested in looking for them. 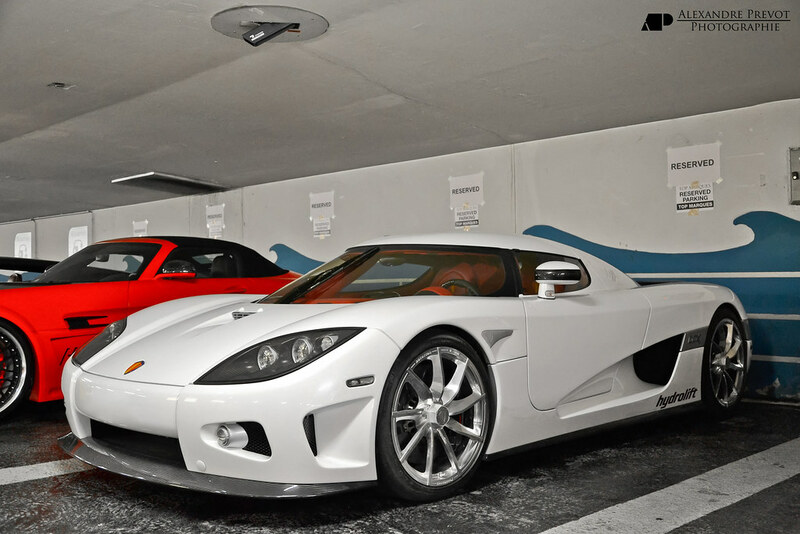 So which one would you choose first? Things To Do in Dallas at First! So, your big journey in Dallas starts right now! Are you going to travel with your family? No problem! Dallas has got a lot of opportunities for having fun. 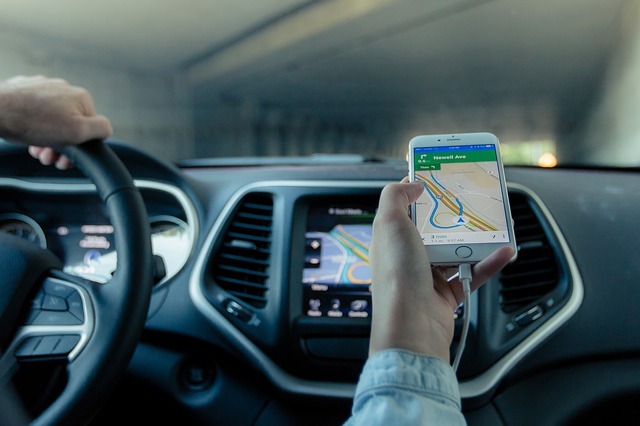 First of all try to click here and rent a car at the Dallas Airport to get more opportunities to travel not only in the city, but far around it. Also, the city is full of free adventures such as Museum of Nature, Trinity Groves or Design District. Whenever you go in the city you can find a lot of interesting things to fill your day. Don’t forget about restaurants, exhibitions, performances, and other adventures. The car or even a van if you are traveling in a big company will help you to get from the district to district easily. Also, you can leave your car in the city center and ride a bicycle to get to design District. This is a place where you can see as much art objects as you can. After, try to get to the Downtown Dallas and Oak Cliff. This is a city of opportunities. Whenever you go, you’ll get an unforgettable experience. Texas Adventure! Feel Like a Cowboy! Enjoy the beauty of the local landscapes by riding a horse. And you don’t even go out of the city. There is a big park, situated 8 miles from the center of Dallas. The park is called Trinity Forest Adventure Park. Actually, this park is a part of a big leafy forest. Just enjoy riding. Don’t forget to make a stop at the Wild Bill’s Shop to buy a cowboy hat on your way. Dallas is a good place to learn American history. The first thing you should do is visiting Dealey Plaza to see where the former president was assassinated. Then go to the sixth floor museum at the same hotel. You can learn much about George Bush’s life and get a picture of him. How about taking picture in the president library? All these attractions are absolutely free! If you like sports and want to try something in Texas style, take the VIP-excursion to AT & T Stadium to enjoy the game of Dallas Cowboys. What is more, you should drive your car to Arlington, TX to watch the Texas Rangers at their finest. If you are in Texas, you can enjoy the local delicacies. Street food is not what you need. You’d better to raid in the local eateries. The food is not expensive but very tasty and rich. How about trying meals from the world popular chefs Dean Fearing and Stephan Pyles? Also, you can visit Deep Ellum for the tastiest BBQ. Trinity Groves welcomes you with more than 15 original meals and marvelous city views from the restaurant window! There are about 20 districts in the city and around. Each of them is unique and worth visiting. If you don’t have much time for traveling around, pick one or two. Thus, Uptown can boast the most interesting historic street McKinney Avenue and fashion restaurants and cafes. Looking for the night attractions, you should visit Grinville Av. with the amazing restaurants and night clubs. Hunting for the best shopping, first of all, go to BIG in the NorthPark Center, where you can find about 200 shops and one of the newest fashion collections. You can find everything you need, including the Apple Store, Nike, Tesla store and many others world brand shops. If you are tired, make a stop at the cinema or cafe. There is one more interesting place to visit – Galleria Dallas. This is a place where you can drive not only for shopping, but for a huge skating rink. TaxFree Shopping program makes your shopping enjoyable. Have Fun with Night Attractions! 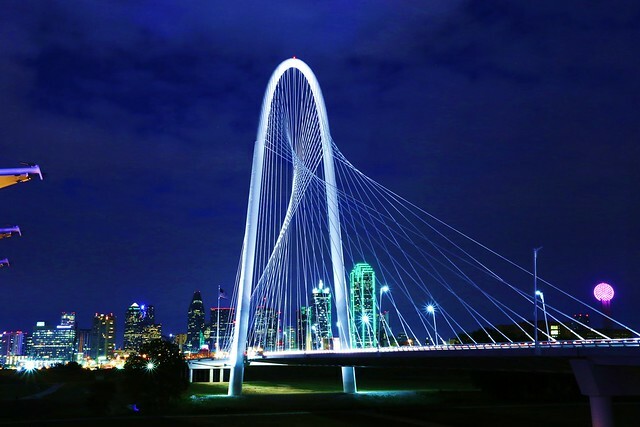 Dallas is especially beautiful at night. How can you see it? You may simply start from observing the city from GeO-Deck Reunion Tower. This is a visiting card of Dallas and very popular place for tourists. Then go to Deep Ellum. This historic region is popular of its street music, friendly atmosphere, creative people, and public bar. Try to learn more about this place before you go there. Dallas is popular with not only its rich history and bright historic places, but artistic objects. Just drive along the city streets and never miss Dallas Art Museum, Nasher Sculpture Center, and others. But if you are fond of architecture, go to the Flora Street. You can see 5 unique buildings, specially constructed for Pritzker-Prize. Of course, traveling to Dallas, you have a chance to meet a lot of new people and make new friends. You may go to the Klyde Warren Park to spend some time there. This is a fresh and green space in the middle of the noisy city. You can find everything here, including picnics, picturesque trails and pathways, and other outdoor attractions. Have a nice day! Dallas is waiting for you! 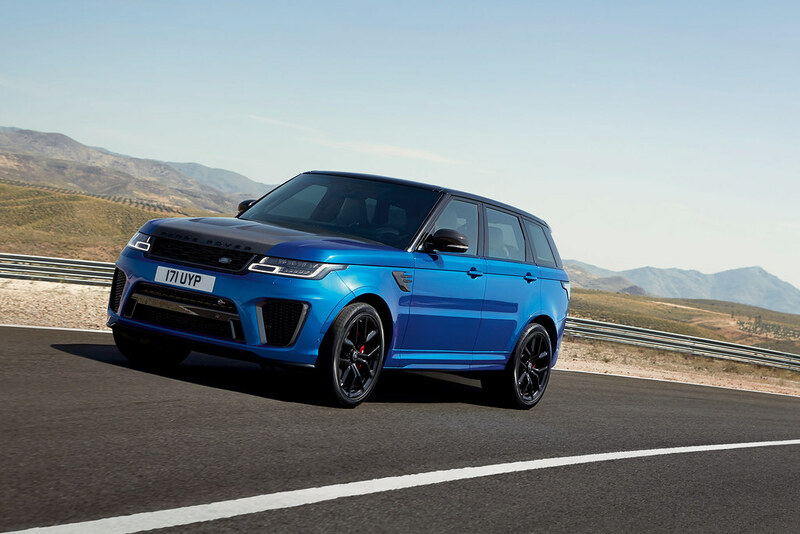 Range Rovers are always known for their off-road capabilities. In the new model, the famous Terrain Response System provides many improvements – which include better performance while moving on hard terrains, like sand or large rocks. You have to experience the off-road capabilities of these vehicles to actually believe in reality. 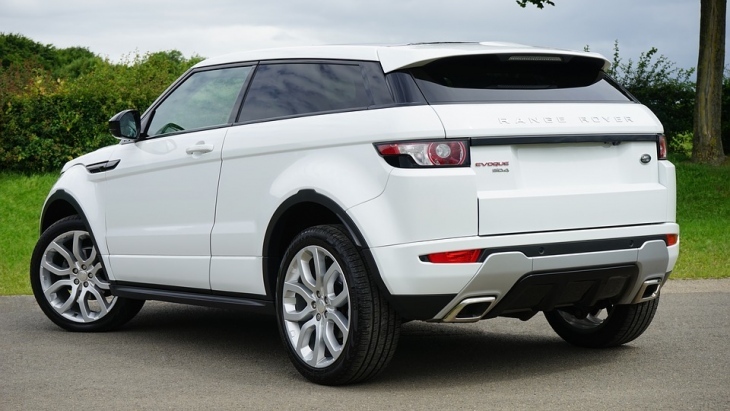 therefore when visiting some places like national parks in Denver range rover is convenient. 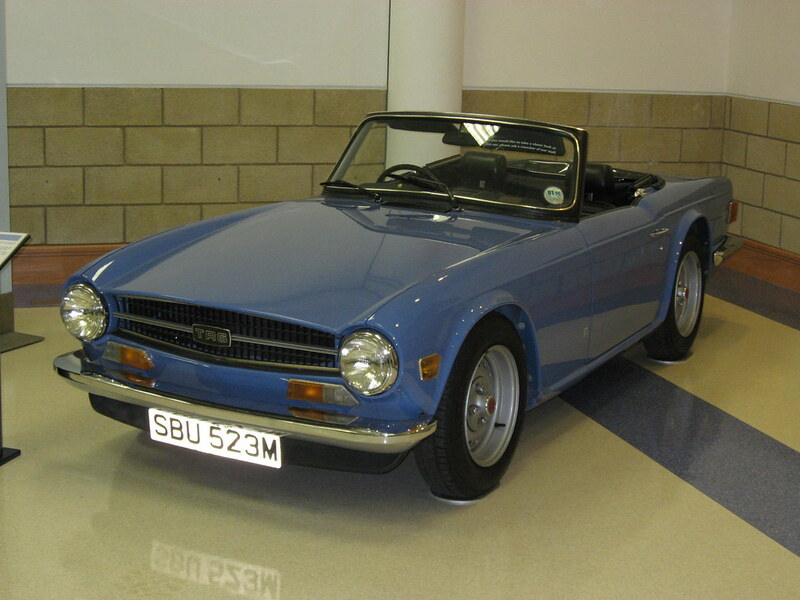 One of the Exotic Luxury Cars is Triumph TR6 The combination of wide-wheeled non-slip rod provides TRR6 extra security on high stability and even on the weird roads. The TR6 is designed to make the interior masculine and elegant. Standard-Triumph Polish Wood Dashboard makes the device easily visible area The touch is taut in front of the driver, and the other gradient is not too far to the right. A pedal is not well positioned for tipping and torch because the throttle is very high. This aluminum vehicle can be adapted in many ways and can be equipped with an automatic roof, which is ideal for both winter and summer driving. Under the hood, there is a 500 HP twin turbo engine V8, which can reach the value of 0-60 in just five seconds. Equipped with an impressive transmission game, manual or drive mode, which ensures power in your hands. Classic 20-inch tires, LED lights and elegant leather interior make it a real luxury car for renting on your holiday vacation. If you are looking for a nice, comfortable place to enjoy the sometimes crazy weather, 4 seasons and heavy snow, then you will enjoy the climate in Denver to enjoy these hire a car in Denver Perfect for the holidays and there is no other for staying in Denver. Come and enjoy 4 seasons and beautiful surroundings presenting Denver. The climate in Denver can turn into a dime and gives you honesty in choosing clothes. This kind of climate has many advantages that everyone can enjoy. Taking your dog on a holiday with you is something that all dog lovers do. In recent times the number of propel who decide to go on a holiday with their favorite pet or animal has risen exponentially. This has prompted many lodgers and hotels to change their policy and make it more suitable for people who go on a holiday with their dogs. There are even more and more travel plans which are specifically aimed at allowing you to bring your dog. More and more items and accessories for dog travel are being sold. So based on this it is clear that the market is allowing the people with dogs to bring their favorite animal and pamper it as well. But is it really suitable to have your dog with you. Even though there are many alleviations now present for you to bring your dog, it can still be troublesome to do that. Dogs are not really used to traveling long distance and you might also have problems with the form of transportation. Bigger and smaller dogs require different care and you will mostly have to adapt your plans and ways of vacationing to your dog. The dog will not adapt to your needs, you are the one that needs to make all of it suitable for your pet. So dealing with this will include making compromises and doing a lot of adaptation on your part. This does not have to mean that your holiday is ruined in advance. It just means that you need to prepare well and that there are certain things that you have to know in advance. Bringing your dog on a holiday with you can make things a lot more fun, or it can make it harder for you. The question is, how you want to do it? 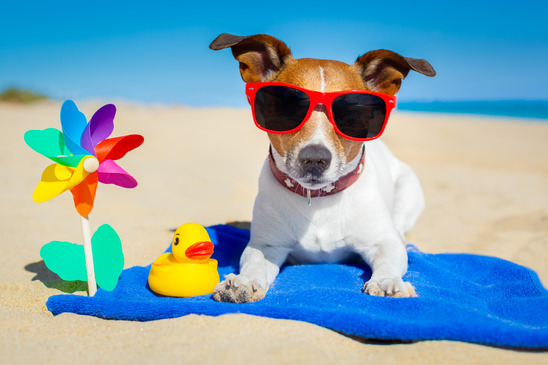 So here are some tips that might help you make your holiday with a dog better. Should I Bring my Dog in the First Place? This is the first question that you need to ask yourself. The first step is deciding whether your dog would enjoy and if it would be a good idea to bring it along on a trip. But bear in mind, if your dog is sick, injured, pregnant or has any kind of a physical condition that might deter it form going on a trip, it is wise to leave the dog home. You shouldn’t put any additional strain on an animal which is already not fit enough to go and better leave it to rest. If your dogs have motion sickness, get overanxious and over-stimulated easily, it is also better to leave them home. Remember, your dog has to enjoy the trip as much as you do. They will probably not enjoy a long trip if they have these characteristics. In that case finding a sitter for your dog or simply leaving it with a friend would do. 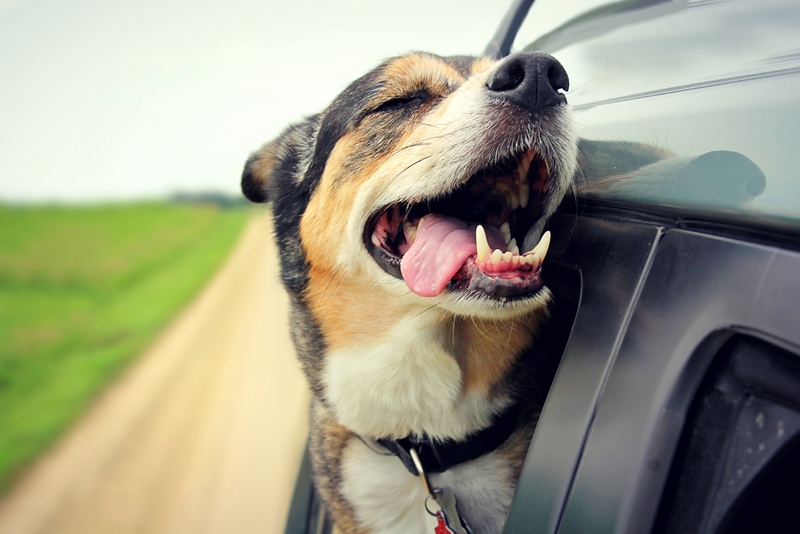 Your dog is your loveable pet and you do need to enjoy the trip together. If your dog ends up being locked in the apartment room while you are somewhere enjoying your day, better leave the dog at home in a familiar environment. Dogs are notorious when it comes to change of environment. Some of them have routines that they do not like to be changed. If your dog does not like changing places nor doesn’t want to change some of its routines, leave it at home where it is safe. Now when you have decided that your dog is coming, it is time to do all the necessary preparations for it. The first thing that you should do is to see your vet and get the dog checked out. This is connected with the first part and you need to determine that your dog is healthy and that it will not suffer during the trip. Get all the necessary vaccinations up to date and also get some advice from your vet just in case. Next thing are some of the legal documents that you have to have. Depending on the type of transpiration and the location that you are going to, you will need to acquire some documents for your pet. Some airline companies or ships do require that you provide them with certain information about your dog and the same thing goes when you enter a different country. You will need to ask beforehand about all the necessary things that you have to provide. You do not want to end up being turned back because of a missing document that you do not have. The best way would be to decide where you are going and how you are going to get there and then check the policy or the requirements for dog travel. You also have to predetermine the policy that transportation companies have towards animals. The same goes with accommodations as well. Certain companies have different rules when it comes to storing the animals. For example, if you know the Tibetan Mastiff characteristics, you know it is not a small dog and it requires different conditions than a smaller dog. Bigger dogs usually have to be placed in the cargo area in specifically secured boxes. Smaller dogs can be carried with you in some cases, but you still have to put it in a special container during the trip. Hotels also have different polices in regards to animals. Some of them do not allow them and are really strict about it. But luckily since there are more and more travelers going with their pets, a lot of hotels have decided to change their policy when it comes to animals. When booking your accommodation in a hotel always check first about the rules they apply for pets, or in this case specifically dogs. This may differ when it comes to forms of transportation. But if you are traveling by ship or plane, this is easier to endure and faster. But if you are going by car, there are many things that you have to think about in order to relax your dog. Some of you may think that it is easier to take your dog by car, while on the other hand it can prove to be a lot difficult. Some things that you have think of include not feeding the dog just before the trip. It is also not advisable to feed them during the trip. If you really have to, give them small portions. They dog might get motion sick that way or will require frequent toilet stops. Also make sure to restrain and secure your dog. You can use a leash to tie your dog if it is restless during the trip. Your family members may provide you with help during this time, particularly your kids as they may play with the dog and calm it down. Never open a window or the door of the car if your dog is not properly secure. They might get away and you might end up losing it. Another thing is that you have to make your dog as comfortable as it can be. Sometimes it can get pretty hot during a trip so make a comfortable environment for the dog. Pull down the shade for the side and back windows or turn on the AC. This goes particularly for furry dogs or when you are going to a different climate. The same thing goes if it’s too cold. In that case you need to get the dog warm. Frequent stops are also necessary. Your dog will relieve itself and it will also not get to be too restless. Making a stop and taking a short walk is not only good for the dog but for the driver as well, so this is beneficial in two ways. Bring some water and ice, just in case, and carry it in containers. You never know when you are going to need it. Taking a plane may be easy for you, but it is absolutely a dreadful experience for your dog. This is probably the easiest way to transport your loving pet when taking a trip, but do not expect the dog to like it. In fact, a lot of dogs are terrified of flying and it puts additional stress on them if they are put in a container. The cargo hold can be a lonesome place for any pet, particularly if it’s a long trip. We actually advise you not to take your dog on a plane ride and do it if it’s utmost important. Dogs should be taken on a plane only when you are moving or if there is no other way. There is a lot of paperwork that needs to be done and you also need to make a lot of preparations for your dog. It makes things harder for you and your dog. Additionally, your pet might also develop certain conditions or even get ill. Some are prone to separation anxiety and it also makes it harder for them to endure this kind of a trip. Now when you are there, there are more rules that you have to oblige. First of all, dogs are creatures of habit. They have their routines that they do not like changing. So do not force change on them and make sure that you provide them with similar conditions that they have at home. The closer they feel like at home the easier is it going to be for them. What you need to do is to introduce them to the room or the place that the dog is going to stay first and also take them out for a walk around the neighborhood. Try to make all of their routine walks like back home and also make sure that they eat the same food. Playing with them is important and do not dare leave them cooped up in their rooms during the whole trip. Try to make them a part of the holiday as much as you can. Also, it is important to note that you have to behave like a responsible owner. Try to see what the general rules are and follow leash laws or anything that your landlords or the place that you are staying in are going to tell you. It will make things easier for you and you will also not have any problems with the people there. A recipient of Trip Advisor’s Travellers’ Choice Award 2017, Bali takes your honeymoon to the next level. Known for being an exotic paradise, the island offers everything that you would look for in a perfect honeymoon getaway. Bali will momentarily make you forget about your fast-paced life and the monotonous routine. Known as the “Island of the Gods.” The island is synonymous with leisure and rejuvenation. At Bali, you get to experience romantic landscapes, laid-back ambiance, exotic culture, delicious cuisine, and tranquil turquoise waters. Having your honeymoon in Bali offers a wide range of benefits compared to going on a romantic getaway in Europe or the United States. 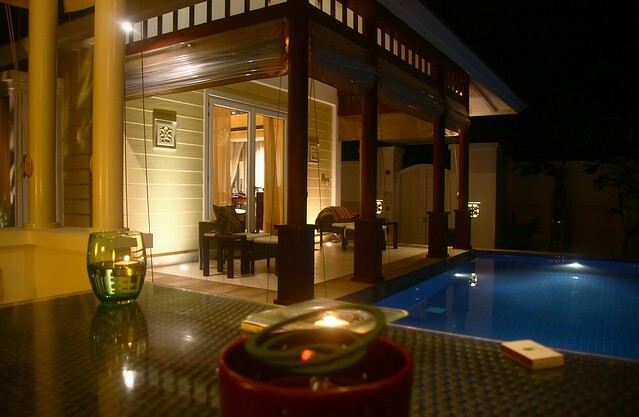 A honeymoon in Bali is more affordable than in Australia, New Zealand, or the United States. Bali is known for its beaches but the island has plenty more to offer for new couples. 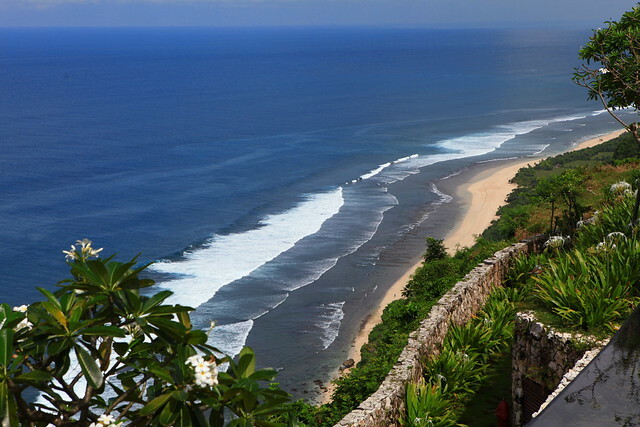 One of the top destinations for newlyweds is Uluwatu. For some peace and quiet, the secluded beaches of Balangan and Suluban are among the beautiful in the island. Uluwatu has a laidback romantic air. 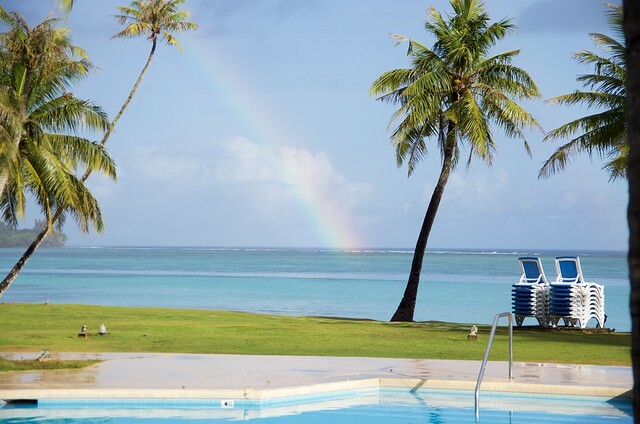 Couples can book themselves on one of the several hotels located on the island. The Hotel Alila, for instance, allows couples to spend precious moments and take a dip at its infinity pool. Although Bali is a popular tourist destination for its beaches, there is a bevy of activities that newlywed couples can indulge in. For a rejuvenating honeymoon, newlyweds can pamper themselves at the Ayana Resort and Spa in Jimbaran. Both husband and wife can take a flower bath made of 500 roses while enjoying some strawberries and champagne. Another honeymoon destination that the newlyweds can go to is the Pura Besakih Temple. Considered as one of the most important temples in Bali, this is a place where the couple can ask for blessings for their togetherness. The temple has more than 28 structures built on seven ascending stairs. The backdrop where the temple is set is simply astounding. For the adventure loving couples, Nusa Lembongan is the place to be. It offers opportunities for snorkeling and diving. The mushroom-shaped island is small enough to be explored in 3 to 4 hours. While going to Bali for your holiday can be done the whole year, the best time to go is during the summer season. For honeymooners, March and October are the best months. During this time of the year, the crowd is lesser compared to the peak season. Bali is such a great honeymoon destination for a variety of reasons. There are great restaurants, excellent shopping, great attractions to visit, and others. Whether you want to just chill out and relax on a private pool or go island hopping with your spouse, there are different honeymoon packages that you can work out with honeymoon planners. Most of them have partnerships with hotels and other honeymoon destinations so they can design the perfect package that will make your honeymoon truly memorable. If you are planning to visit Singapore, then you should of course find which are the best places to see in this amazing city. Singapore is a city of contrast, a combo of natural and urban attractions and definitely one of the most common destinations for a bucket list. There are definitely many things to see in this city and below you will find the top 3. So, let’s check them out. Marina Bay is considered as Singapore’s tourism epicentar and is a must for first-time travelers. There are many things you can do here both during the day and night time. You will find the best places to eat in Singapore and thus try the best Singapore dishes. If you decide to go on during night time you will be treated to nightly light show put on by Marina Bay Sands that will leave you amazed. Marina Bay is the center of some of the city’s main points of interest and there are many opportunities for entertainment including the world’s largest floating stadium – The Float at Marina Bay, the ArtScience Museum etc. The Singapore Flyer is the world’s largest observation wheel and one of the must-see attractions in this city. 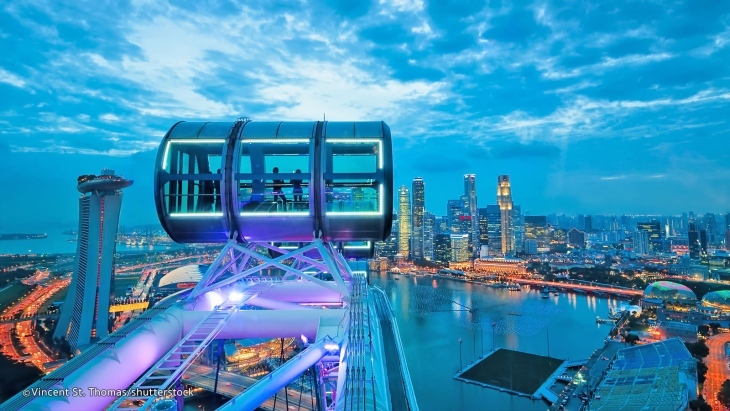 It is 30 meters taller than the famous London Eye and offers breathtaking panorama views of city sights, at any time of the day, including the Marina Bay, Empress Place, Singapore River etc. The best views may be seen around dusk, when the sunlight gives millions of sparkling lights. Another famous attraction you must-see in Singapore is Gardens by the Bay. It is located next to Marina Bay Sands and represents a colorful, futuristic park, that has been crowned World Building of the year at the world Architecture Festival 2012. This place is full of hundreds of trees and plants and it is perfect both for kids and adults. Also, there are supertree structures that provide an existing skywalk over the gardens. Singapore is definitely a great destination to visit, so make sure you add it to your bucket list. You will be amazed by all the things you can see there. Also, Singapore is a well-known food destination, so if you are a foodie, you will be fascinated with all the delicious Singapore dishes you can taste. So, how about you start planning your trip to Singapore? 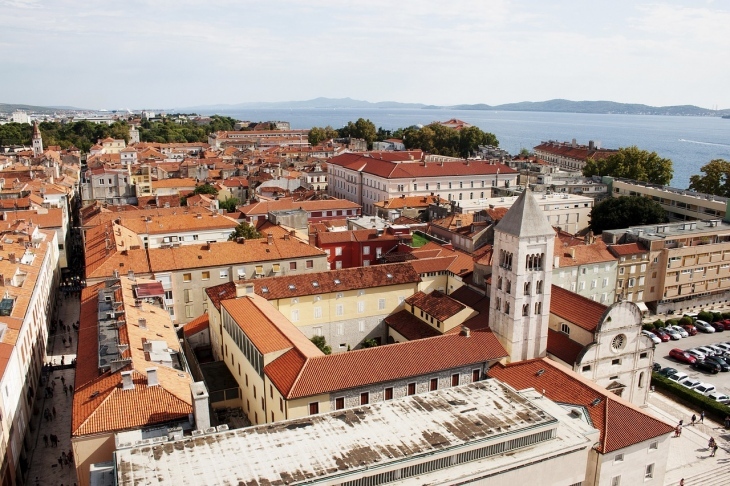 Zadar is a beautiful city that is characterized by alluring Venetian remains, Roman ruins and an ancient architecture that makes it seem like a town straight out of the history books. If you’re in Split and would like to make your way to this winsome town, the following guide should steer you in the right direction. The Split-to-Zadar route basically offers two possible alternatives, the first being traversing the coastal contours in about four hours courtesy of a couple of stops along the way and the second being a 1.5-hour shorter trip that is more straightforward. The longer route affords more scenic pleasures so if you have some money and time to spare, take the first bus. If not, the second option should suffice. A single ticket will set you back about € 11, or 80 kunas in the native currency, with bus travel proving the cheapest way to travel. Worth keeping in mind is that if you are aiming to get to Zadar from Split airport, the airport is on the periphery of the town so you’ll need to take a taxi- of which there are plenty of at the airport- to the main bus terminal which is located next to the Split Riva. This should only take you a couple of minutes since the terminal isn’t too far away. 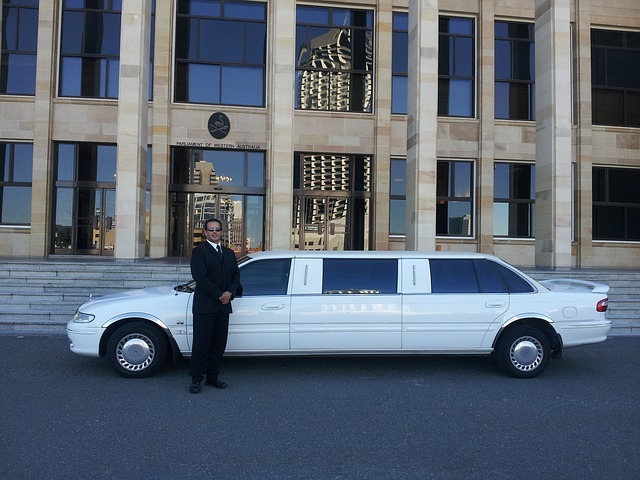 While conventional means of transport are fairly good at getting you from one point to another, none is quite as effective as a private transfer. It affords not only a comfortable and luxurious option to bridge the distance between these two historic towns but also other bonus features namely catered accommodation, free Wi-Fi and express travel. Packages are normally cheaper with more people on board as you’ll pay about € 130 for a three-seater vehicle while an 8-seater alternative will cost you just € 145 which brings the individual charges to less than € 20. If you like to be more handsy with your trip and take a couple of detours along the way as you please, then rent a car in Split and take on the tarmac yourself. 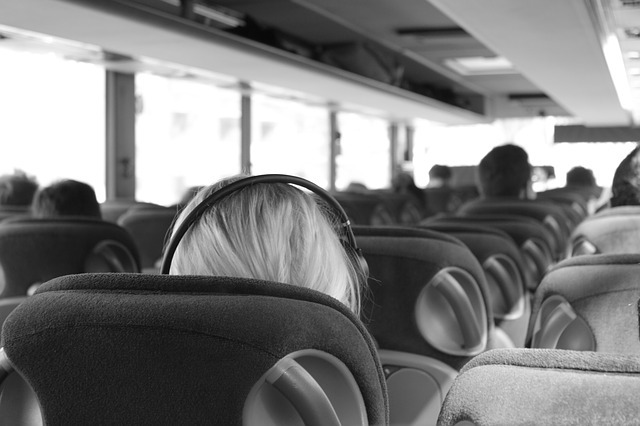 The road has two options as highlighted in the travel by bus option and again which route you’ll take is up to you. The E65 offers a direct path of travel but if you’d fancy an extended view of Croatian’s coastal aesthetics, then take the longer one. Only that it is. 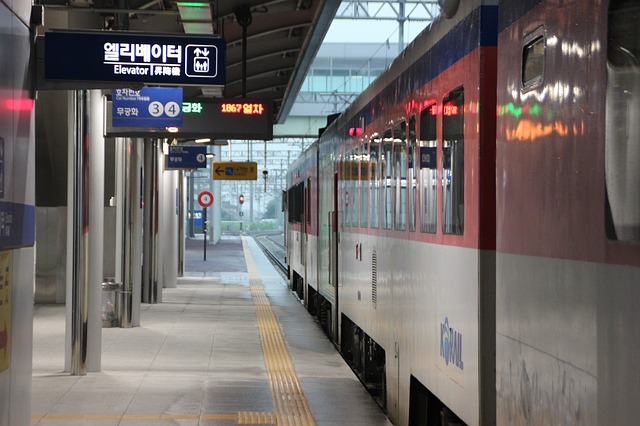 With a journey spanning a duration upwards of 420 minutes, travelling by train is for the hardboiled traveler with loads of time to spare. Nonetheless, the train trip to Zadar is quite seamless and uneventful. Travel by sea is not possible, that is if you are looking for commercial ferries plying the route. However, it is very much possible by renting a yacht in Split and traversing the sea in the comforts of your own vessel. While unconventional, this makeshift fifth option is a great way to get to where you’re going whilst sampling the archipelago treats that litter the Adriatic waters in between.